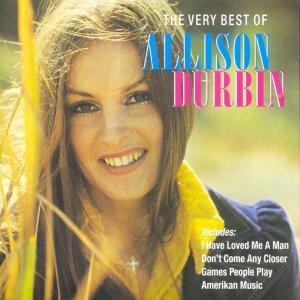 Allison Durbin was born in Auckland in 1950, where she grew up and attended Westlake Girls High. Having started singing at the age of 5, she spent six years with Uncle Tom's Friendly Road Children's Choir, along with her six brothers and sisters. Whilst at high school, Allison began to haunt the local youth clubs, where she got to know the bands quite well. She was always hassling the bands at Dave Dunningham's Surfside to get them to let her get up on stage and sing a song or two, to show off her vocal talent. In 1963, she entered and won a talent quest at the Surfside Ballroom, prompting Dunningham to contact Eldred Stebbing from Zodiac Records. 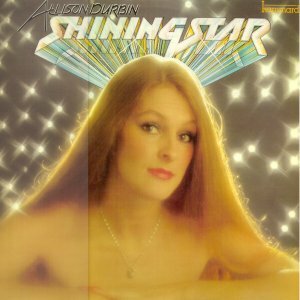 Stebbing was impressed and before she had turned 14, Allison Durbin had recorded her debut single, "Count On Me"/"Lover's Lane", for Zodiac. It didn't sell very well, so another was tried, "Rules Of Happiness"/"Two Shadows" with the same result. It was her third single that got her going. She did a cover of "Can't You Hear My Heartbeat" with "Little Brother" on the reverse and this version out-sold the original by Herman's Hermits, giving Allison her first hit. She did one more single in 1965 for Zodiac called "Mix It Up"/"Little Girl Go Home". 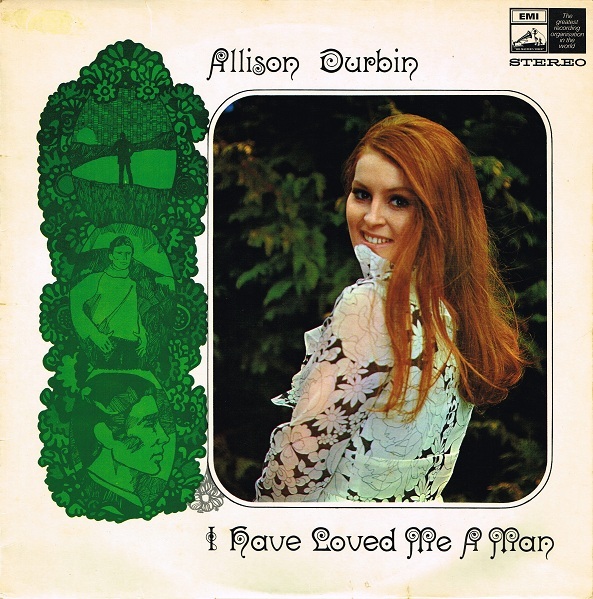 In 1966 Allison then teamed up with the Mike Perjanik Band in the studio and released two singles on the Impact label. The first was "Sailor Boy"/"My Last Date", followed by "Borrow My Love"/"Don't Let It Happen". Before long she was featuring as the band's vocalist in their live work. Now only 16, she set off on a nationwide dance spot tour with special guest Tommy Adderley. After this, she did it again as part of the 'Impact Label Show", before appearing in a series of engagements in the South Island. In October 1966, she and the Mike Perjanik Band moved across the Tasman for a residency at Sydney's Coogee Bay Hotel, before moving into the prestigious Latin Quarter in May 1967. After nine months, she left the band to pursue a solo career. She worked clubs and hotels, and returned briefly to New Zealand to tour with Gene Pitney. She was booked for a large amount of TV work, appearing on Bandstand, the Go Show, It's All Happening and others, all of which helped to put a professional gloss on her performances and win her new fans. By the time Allison returned to New Zealand in late 1967, she was a professional. She'd learnt her craft and her television appearances displayed none of nervousness other 17 year olds betrayed. Now managed by Doug Elliot, she was signed up to a new contract with HMV in 1968. 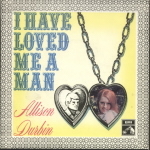 Durbin's first HMV release was a cover of Morgana King's "I Have Loved Me A Man", backed with "Sand". Produced by Howard Gable, the song sold in excess of 30,000 copies in New Zealand, easily the best-selling local release of the year, spending two weeks at number one and collecting the 1968 Loxene Golden Disc Award. With little promotion, it also cracked the Australian charts, running abreast with the Morgana King version. Her first album "I Have Loved Me A Man" was also released at this time. Australian version of same album. From the album another single was released called "Don't Come Any Closer"/"One More Tear". It reached number 3 on the national charts in December 1968. In April 1969 a new single, a cover of Joe South's "Games People Play" backed with "You've Lost That Loving Feeling/Soul and Inspiration" also made the charts, peaking at number 4. 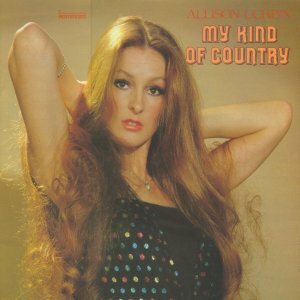 In 1969, Allison was awarded the "New Zealand Entertainer Of The Year Award", even though she had basically been living in Australia for nearly two years. In 1969, Allison married Howard Gable and they settled in Melbourne. Initially she divided her time between the two countries, enjoying substantial success in both. But as the seventies progressed, she concentrated on the more lucrative Australian market. 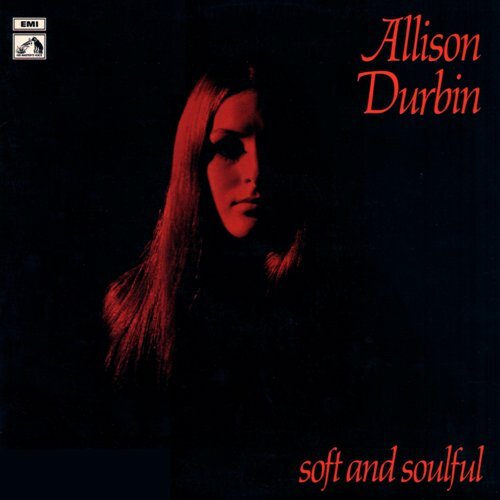 A second album "Soft and Soulful" was also released in 1969. Allison's popularity was also huge in Australia, with her picking up the "Queen Of Pop" award for Best Female Artist, three years running in 1969, 1970 and 1971. During those years, singles continued to be released concurrently in New Zealand and Australia. They included "Sha La La La Lee"/"Cry Like A Baby", "He's Bad Bad Bad"/"Am I The Same Girl", "Don't Make Me Give In"/"World Of Music" in NZ and "Words Of Silence" in Aust, "Hallelujah"/"Tonight I'll Say A Prayer", "Holy Man"/"Letter To Bill", "Golden Days"/"Make The Feeling Go Away" and "Words Of Love"/"I Have A Son". Next came her best selling Australian single. It was a cover of Ocean's "Put Your Hand In The Hand" backed with "Didn't We". It reached number 24 on the National charts in May 1971. 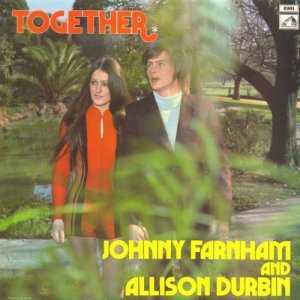 In 1971 Allison recorded an album with John Farnham, who had been voted "King Of Pop" during the same years Allison received her awards. It was called "Together" and from it two singles were released. The best was "Baby, Without You" and it reached number 27. Her next solo album came in 1972, "Amerikan Music" and the title track was the last single to make the charts for her, reaching number 33. 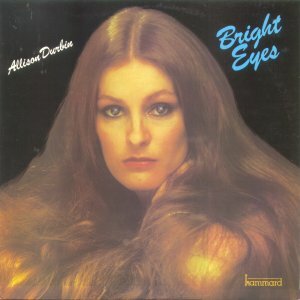 Allison then tapered off her singing work to concentrate on her family and by the time she did return in 1976, her days as a pop singer had passed. She moved into country music with great success. Joining the Hammond label, she produced six albums, one each year from 1976 to 1981. They were 1976, "Born A Woman", 1977 "Are You Lonesome Tonight", 1978 "Three Times A Lady", this one achieving triple-platinum status with sales of over 150,000 copies, 1979 "Bright Eyes", 1980 "Shining Star" and 1981 "My Kind Of Country". Missing a year she released "Country Love Songs" in 1983. In 1986, Hammond released a best of album called "The Very Best Of Australia's Queen Of Country". Two years later a "best of" album of her pop songs came out on the Axis label, called "Amerikan Music". 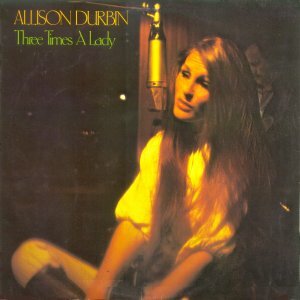 1992 saw a return to the recording studio for Allison, after a number of years of dealing with personal issues. 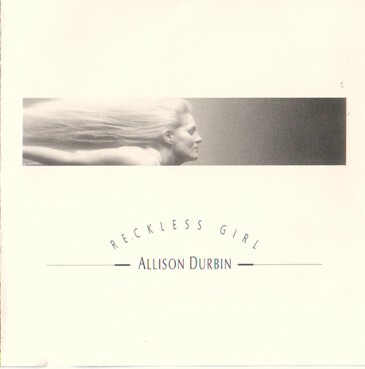 The album was called Reckless Girl and the songs are quite different to her recent country songs and earlier pop hits. 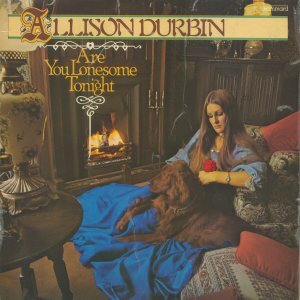 Sadly it seems that this is the last studio album for Allison, as her personal life has caught up with her once again. None of the Hammond Country albums were ever released in New Zealand, so in 1996 EMI put together a selection of songs from these albums and released a CD called "Country Classics" in New Zealand. 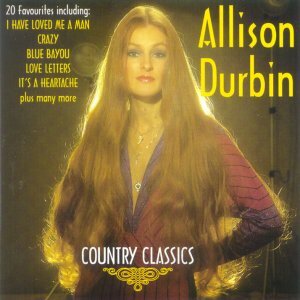 In 2001 EMI released a CD called "The Very Best Of Allison Durbin" which contains most of her early New Zealand singles.